Samuel A. LaSusa is an extraordinarily talented and experienced attorney who has practiced essentially every aspect of real estate, corporate and commercial transactions. Mr. LaSusa has specialized in commercial, municipal and real estate law for more than fifty years. He has represented a broad cross-section buyers, sellers, syndicators, lending institutions, landlords, commercial tenants, brokers, developers and real estate managers. His experience includes transactions developing: shopping centers, commercial property, apartment complexes, industrial facilities, office buildings, condominium projects, apartment and condominium conversions, and custom single-family homes. He has negotiated virtually every variety of financing arrangement for both lenders and borrowers. He has represented both private clients and municipalities in condemnation, zoning, tax increment financing and industrial revenue bond matters. Representative municipal clients have included: the Village of Weston, City of Wood Dale, Village of Glendale Heights, Village of Streamwood, Bremen Community High School District, and Wheeling Township School Trustees. He handled the incorporation of the Village of Weston in DuPage County, and was Village Attorney for Weston from its inception until its final dissolution, when it was chosen by the United States Atomic Energy Commission as the site for the Fermi National Accelerator Laboratory. He represented the Village of Weston in all legal aspects and negotiations with the federal government. Mr. LaSusa is listed in Martindale Hubbell Law Directory with a rating of AV. He is a member of the American Bar Association, Illinois State Bar Association, Northwest Suburban Bar Association, the Illinois Trial Lawyers Association, the Trial Lawyers Club of Chicago, American Trial Lawyers Association, American Judicature Society and the Justinian Society of Lawyers. He is also a member of the American Arbitration Association and has participated as an Arbitrator on behalf of the Association on numerous occasions. 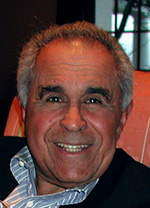 Mr. LaSusa is a graduate of DePaul University College of Law. (J.D. 1955) He is admitted to the practice of law in the State of Illinois, the Northern District of Illinois Federal Bar and Federal Trial Bar, and the United States Supreme Court.